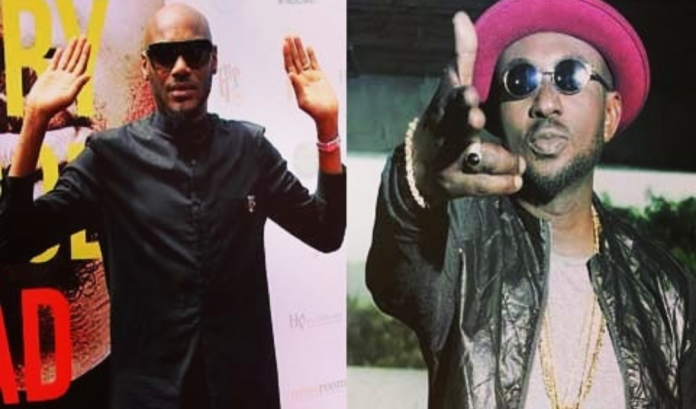 The year 2019 has already witnessed the bitter enmity between former friends and colleagues Blackface and 2Face (2Baba). Blackface started 2019 by declaring war on his former band mate and over the past years, he has called out the ‘African Queen’ crooner for stealing his intellectual property amongst other things. Recently, a dissed track titled ‘War‘ was released by Blackface Naija targeted at his arch enemy. Amongst other things said in the song, 2Face was called ‘gay’ by his former band mate. In a new interview with LIB, Blackface rationalized his reason for calling 2Baba gay. ‘Yes I called him Gay, its a normal thing in music when you are yabbing someone, people have been doing it for ages. I can abuse his mother and say anything its normal’, he said. He also maintained that a pending court case does not stop him from making music or dissing his estranged friend. He said ‘having a case in court doesn’t stop me from doing music. He has the same case in court and he’s been taking secret shots at me with his ‘Oyi’ and other songs, so its not a problem at all’. Still speaking on his diss, Blackface said 2Baba has been taking shots at him subtly in his music citing his new track ‘Oyi’.